Since Bungie decided to fill their latest game with Things That Are Actually Fun, the Co-Opticrew has found it quite a bit more difficult to detach from than the original. As such, our weekend plans continue to feature a stream of aliens, loot, and alien loot. That's not all, of course. New soccer games are on the horizon, as are extremely enticing CRPGs. Plus, when all else fails, Samus is around for a little sci-fi exploration. Sounds like an all-around great weekend. Check it out! Nick Puleo (@NickPuleo) - "Destiny 2 and checking out PES 2018." Jason Love (@JLove55) - "More Destiny 2. Maybe getting a chance to check out the raid?" Marc Allie (@DjinniMan) - "I'll be playing Samus Returns on my shiny new Samus 3DS." Locke Vincent (@LockeVincent) - "Doing work in the fields for the common folk and wrapping up my Tooth and Tail review before I plunge into Destiny 2." Tally Callahan - "Some Overwatch and then hopefully starting up a game of Divinity: Original Sin 2." Sam Tyler (@thereelsamtyler) - "My co-op buddy is visiting so I will get some local co-op gaming in, hopefully including Iron Crypticle." 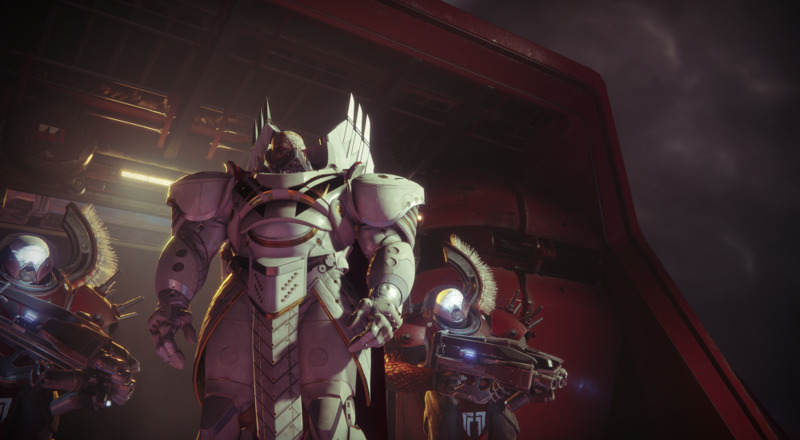 Enoch Starnes (@enochstarnes) - "I'll getting exotic in Destiny 2 and dipping a toe into Divinity: Original Sin 2. Huzzah for sequels!" Matthew Squaire (@mattaghetti) - "Bought Divinity Original Sin, playing with a friend and holy banana bread it's a fantastic game. Can't wait for the sequel to hit consoles." And here we reach the thrilling conclusion of this week's Weekend in Gaming - with you, dear reader. Tell us of all your exciting plans in the comments. Page created in 0.8796 seconds.